Ebay is the number 1 source to find legit altered shoes that are 1 of 1 customs. Nt’er NycPosite came up on a Nike Air Foamposite 1 with a customized black sole. 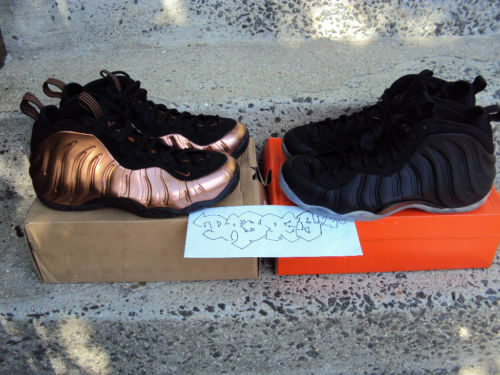 After the jump, You can see that the Copper was given a Black Foamposite sole and the Black Foamposite was given a clear sole. Which sole do you like the most? Black or Clear? let us know! 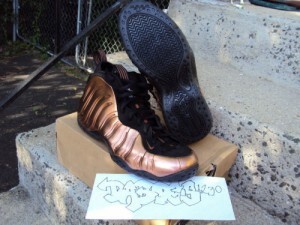 ooo weee those look clean..make the copper pop even more! That whole sole swapping idea came from my dude Frico Jean Joseph …check him out on YouTube ..he swapped soles on foams first..